This modern Noah, Johan Huibers, is creating his arc. In 1992 Mr. Huibers dreamt of a flood. He says that he saw a Netherlands disappearing under an enormous mass of water. 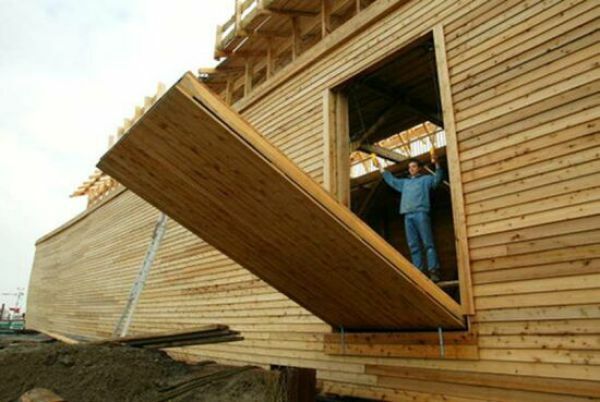 The next day he found a book about Noah’s Ark and began his obsession of building an ark. 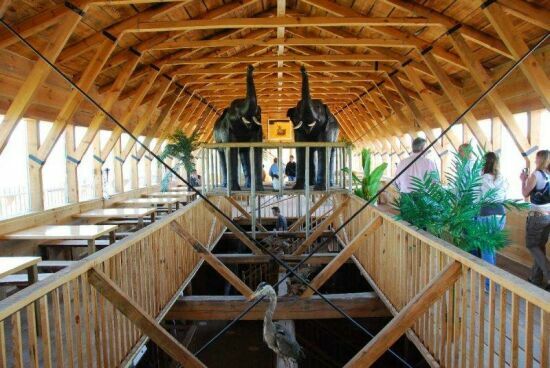 Huibers is a Christian evangelist and is prepared to build his ark in half scale. Using modern tools, Huibers began the project in 2005. He works six days a week and does most of the work by himself with occasional help from his son after school. 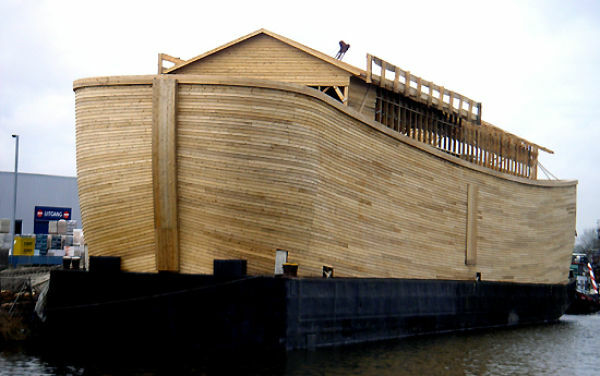 When he finished this ark he will take it around the world beginning mid 2012 and wants to have it in London by the Olympic Games. Learn Something Fun: Different people have had size calculations about the size of the ark. These include Newton who says that the ark was between perpendiculars, 515.62 feet; breadth, 84.94 feet; depth, 51.56 feet; keel, or length for tonnage, 464.08 feet. Tonnage, according to old law, 18,231 58-94. The measurements of the ark, according to Wilkins' calculations were: Length, 54700 feet; breadth, 91.16 feet; depth, 54.70 feet; keel, 492.31 feet. Tonnage, 21,761. Notice how surprisingly near the Great Eastern came to being constructed after the same plan: Length, 680 feet; breadth, 83 feet; depth, 60 feet; keel, 630 feet. Tonnage, 23,092.
yeah but will it float? He built it on old barge so yes, it will float.